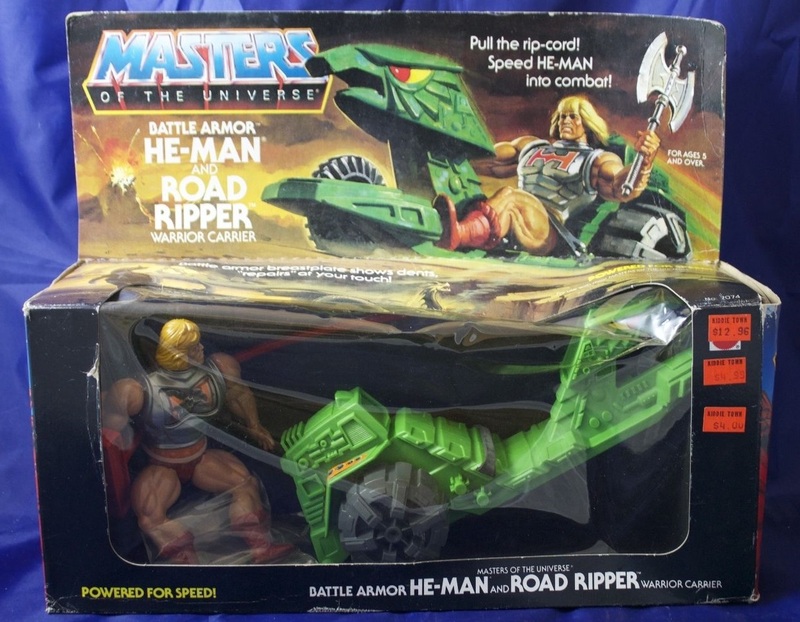 I remember getting the Road Ripper as a present when it came out in 1984. I want to say I got it at the same time as the Dragon Walker. 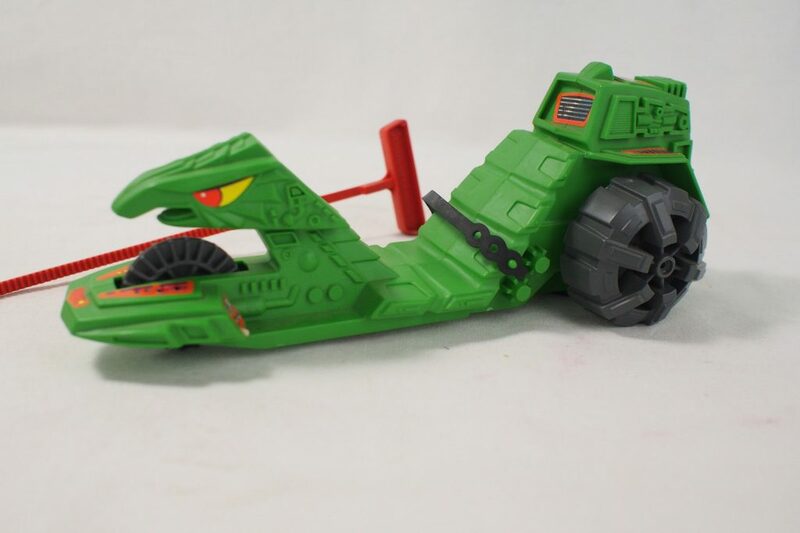 It didn’t blow me away like the Dragon Walker did, but it was a memorable vehicle and I sent it speeding across the kitchen floor on many Saturday mornings. 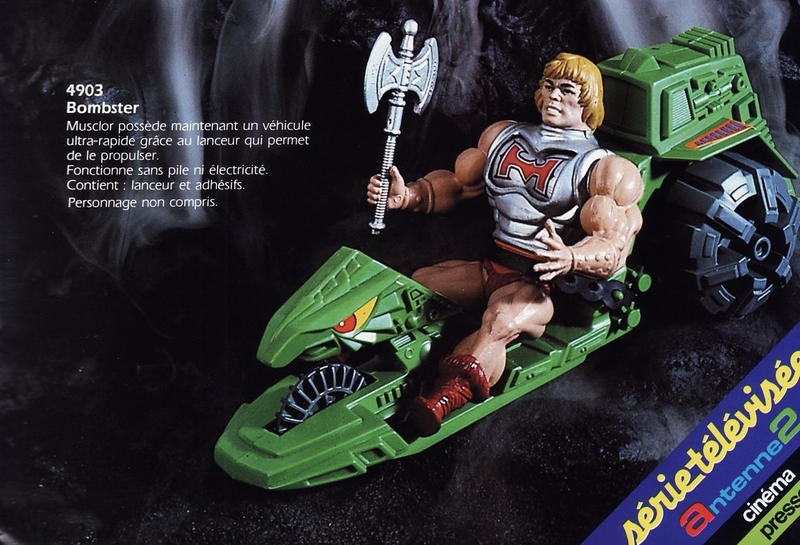 An early version of the vehicle had a much smaller figurehead on the front of the vehicle, a couple of small fins on the back, and control handles for He-Man to hold on to. 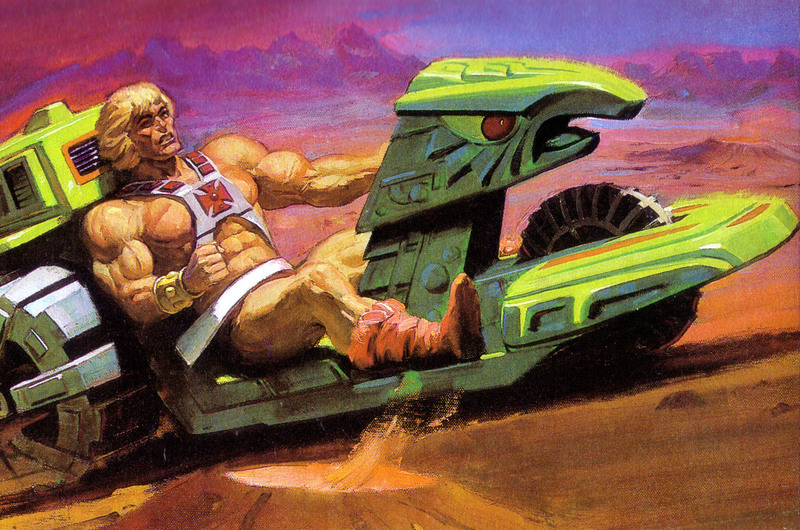 This early concept was colored red rather than green, and had a comparatively narrow front end. 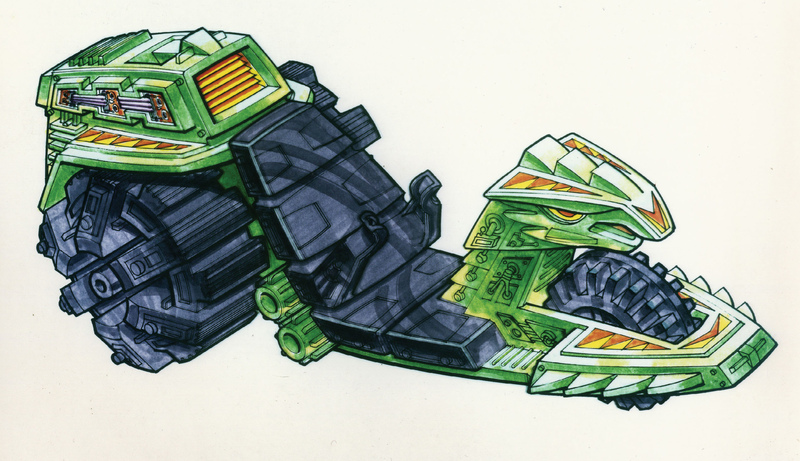 A subsequent revision to the design was much closer to the final toy, with its enlarged figurehead and green color scheme. 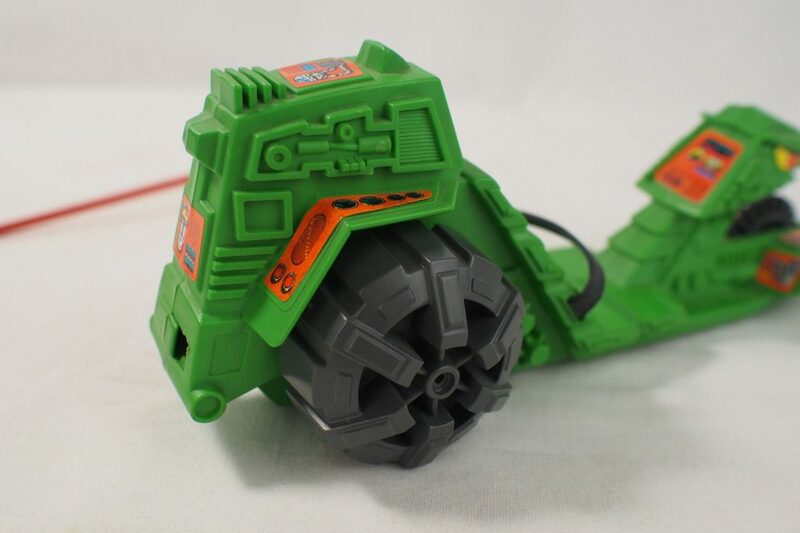 It was more highly detailed than the final toy, with additional orange and yellow triangular patterns and green mechanical details, but otherwise it’s very familiar to anyone who owned the production vehicle. 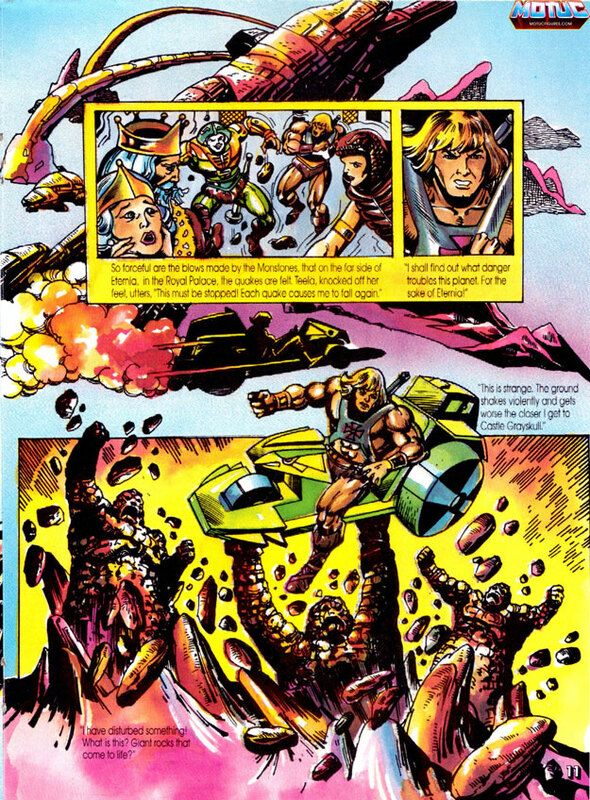 A somewhat similar concept was illustrated by Ted Mayer on September 29, 1983. 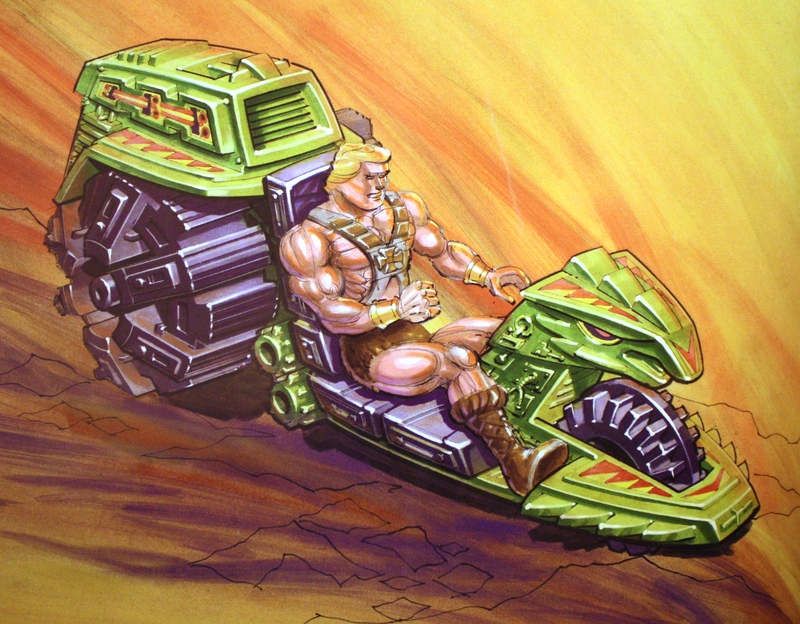 It has the twin guns mentioned in the description of the Tri-Trak, although it seems to have four wheels, not three. 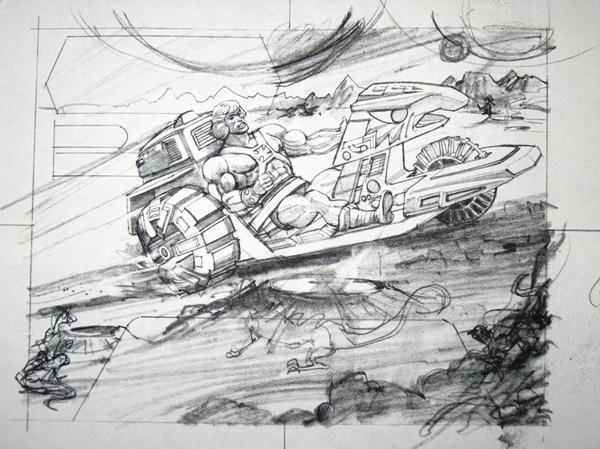 It would have used a launcher base as a means of propulsion, with a similar ripcord feature. 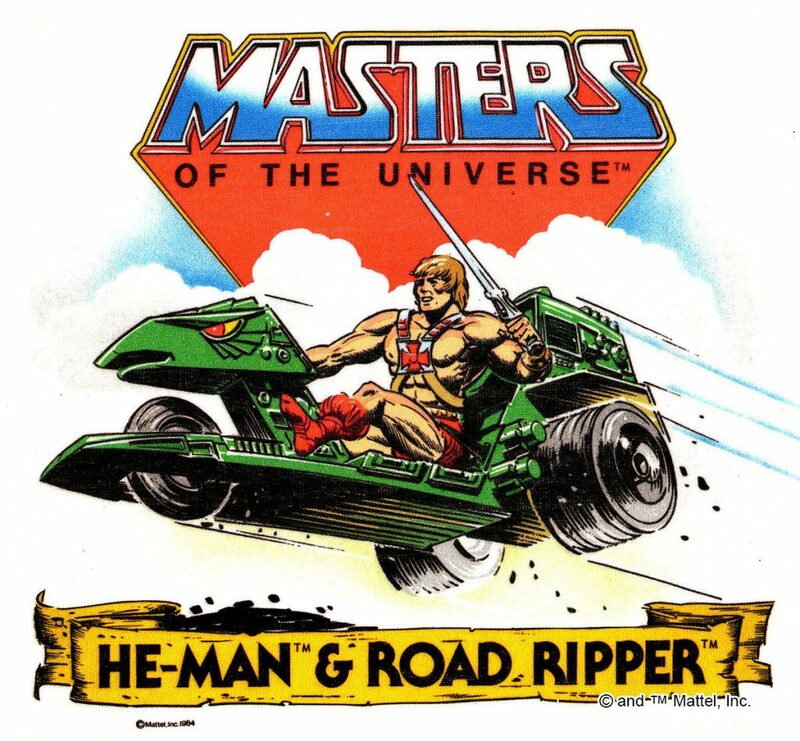 However, given that the Road Ripper was trademarked on August 22, 1983, this may have been a related idea and not a version of the Road Ripper itself. 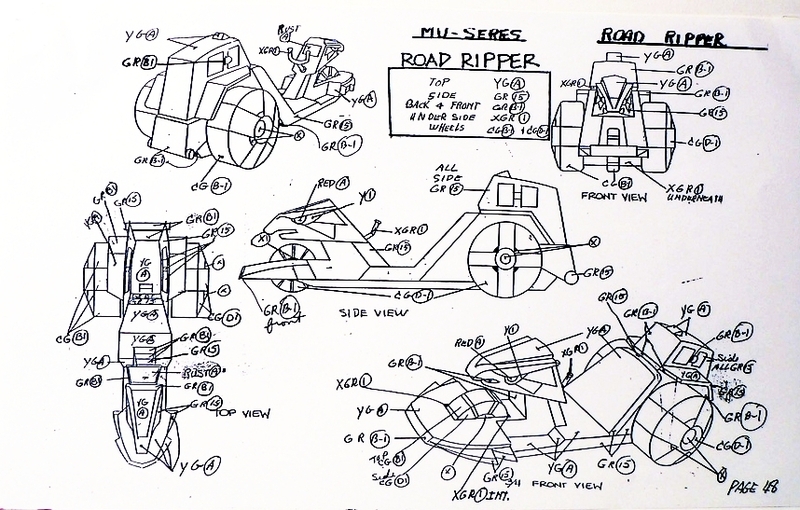 According to the Power and the Honor Foundation catalog, Roger Sweet got the idea for the Road Ripper from the Evel Knievel Super Stunt Cycle. 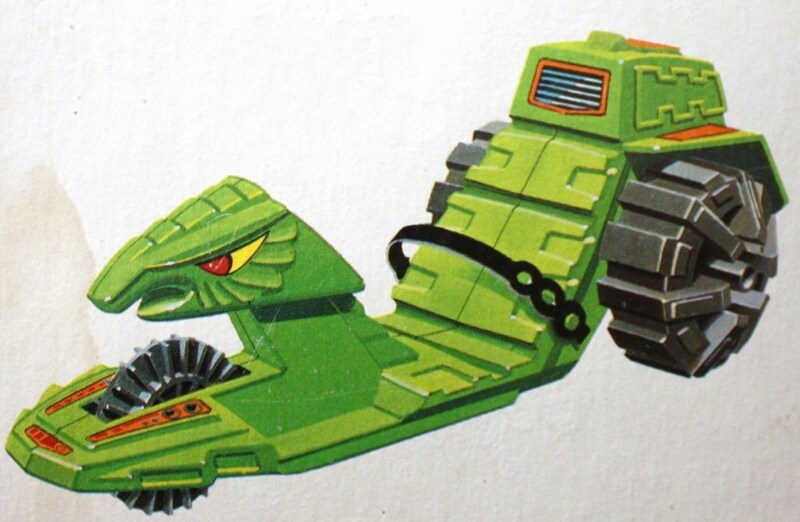 The final toy has a rubber seat belt (similar to the ones used in the Attak Trak and Dragon Walker), rather than the clip featured in the concept artwork. 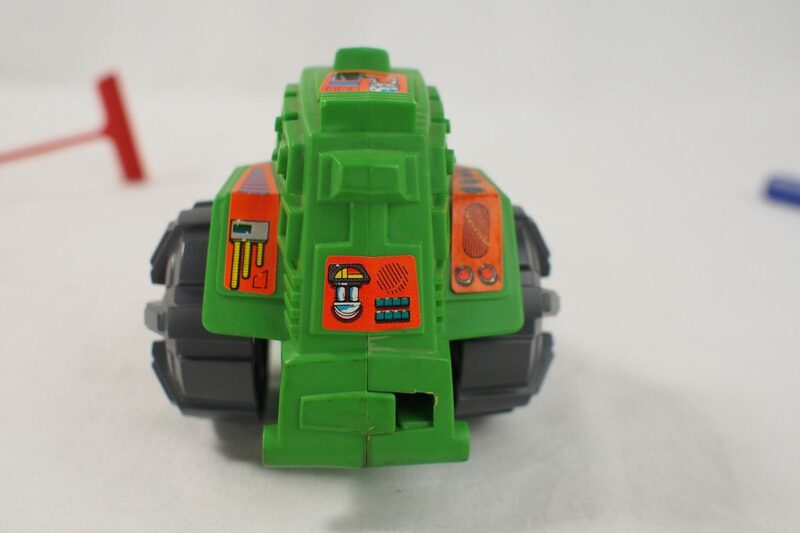 The sculpt work is well-executed, and it’s augmented by a number of brightly colored stickers. 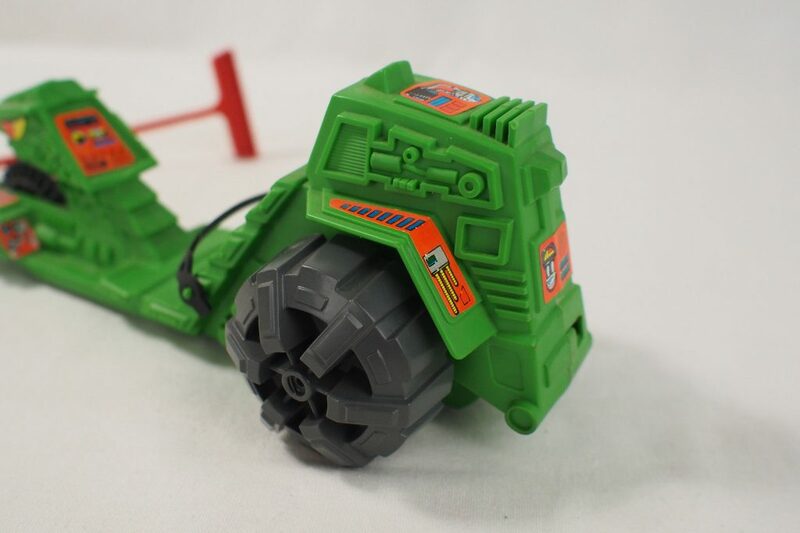 It came with a long red ripcord, that, when pulled through the back of the vehicle, set a heavy rubber wheel hidden underneath the vehicle in motion, propelling the whole thing forward. 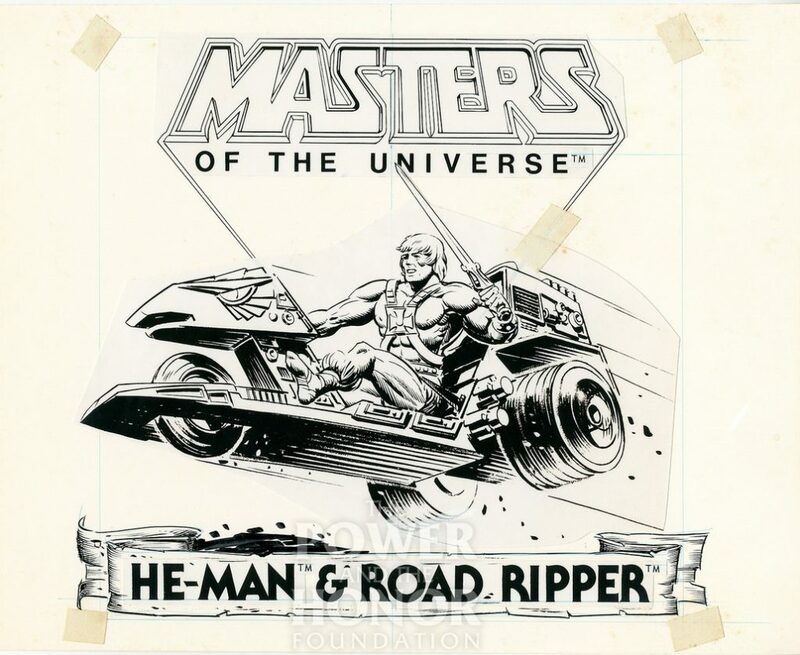 Artwork for Battle Armor He-Man/Road Ripper gift set, by William George. 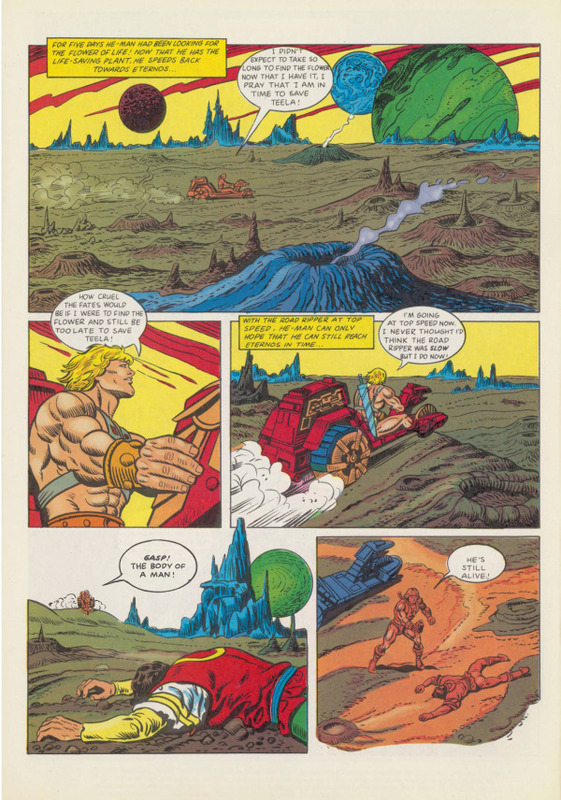 The vehicle makes a two appearances in the Filmation He-Man cartoon, in “The Time Wheel” (thanks to Dušan Mitrović for pointing that out) and “The Energy Beast.” It doesn’t last long in the the latter story, as Orko starts up the vehicle and quickly crashes it, destroying it. 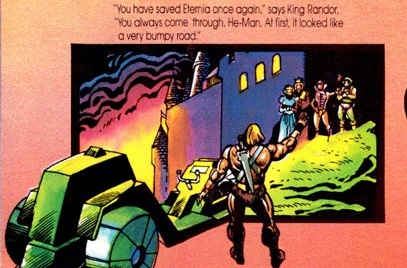 Man-At-Arms remarks that he had spent six months working on it. 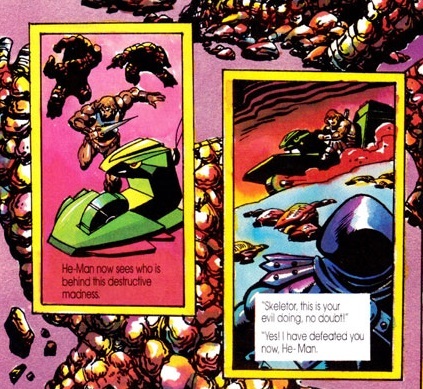 It also makes a single appearance in the mini comics. 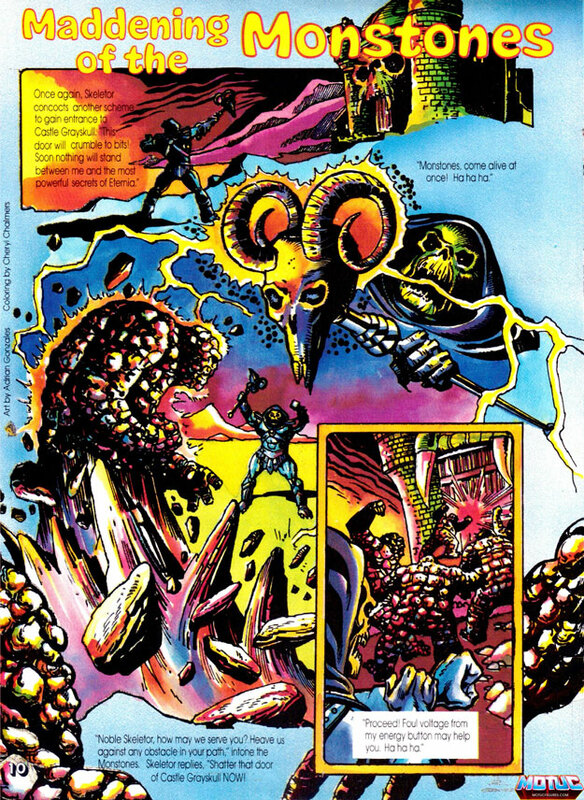 It shows up in a single panel in Temple of Darkness, illustrated by Larry Houston. 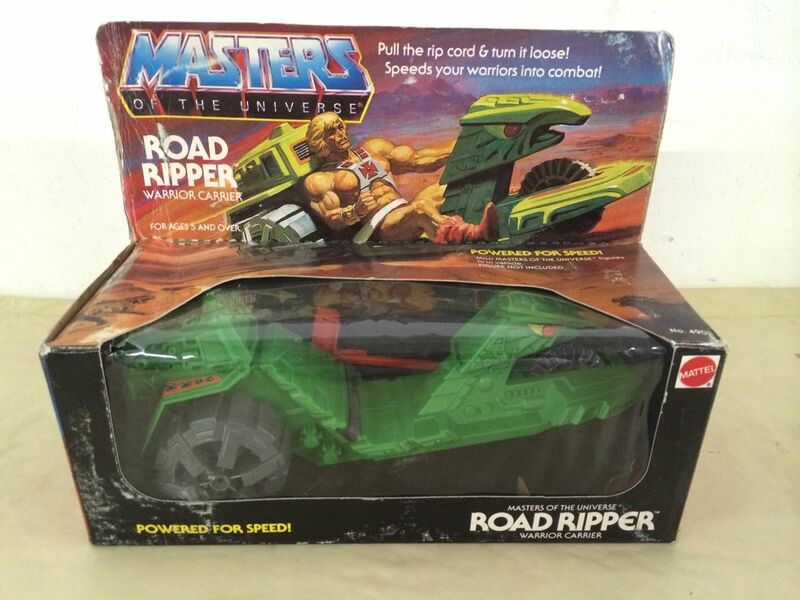 The Road Ripper never had the kind of permanence and ubiquitousness that other vehicles like the Wind Raider and Battle Ram had, but it was a fun little racer and I think it fit in well with the other Masters of the Universe vehicles. 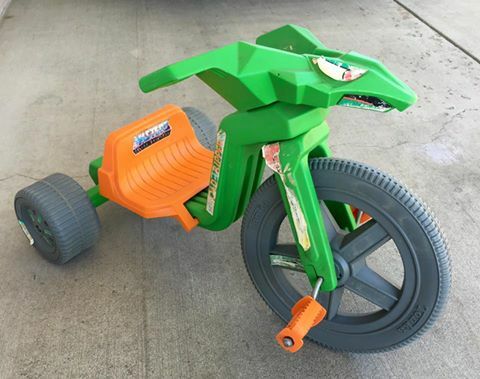 Surprisingly, Tonka even made a Road Ripper-themed crossover tricycle. 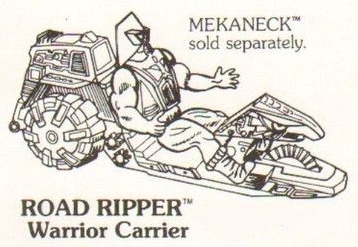 I suppose that makes sense given the fact that the Road Ripper also has three wheels, but it’s an interesting choice given the general lack of exposure of the vehicle otherwise. 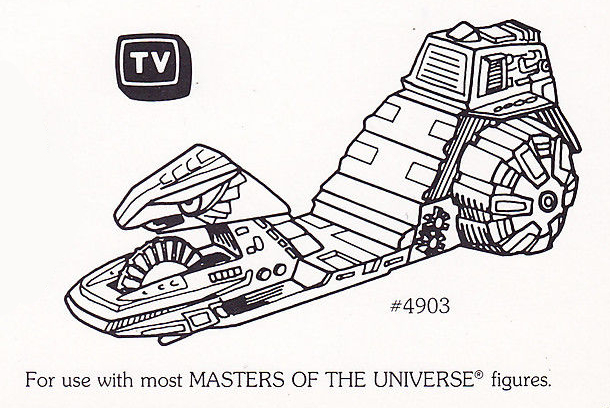 The general formula for MOTU vehicles really seems to be angular, Star Wars vehicle-like bodies, combined big engines and animalistic figureheads at the front, which is as good a description as any for the Road Ripper. 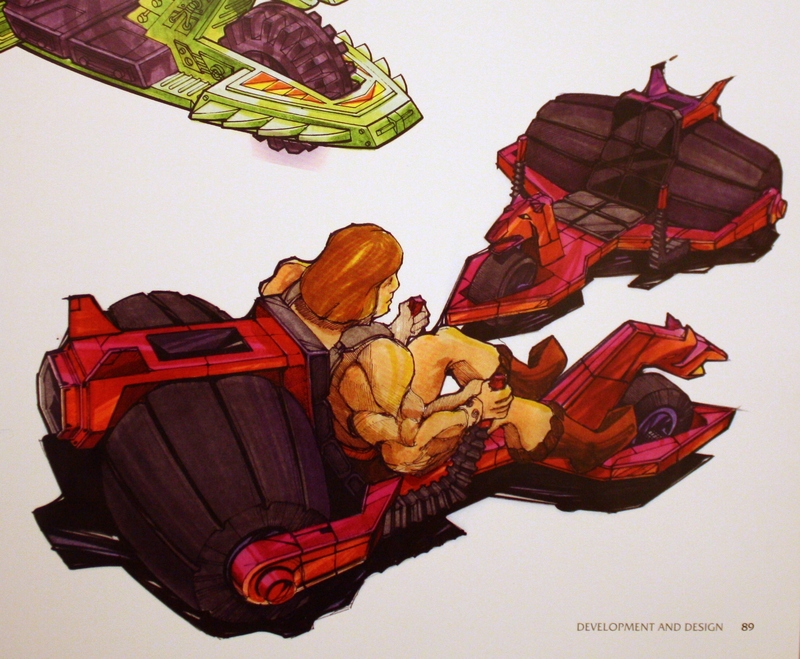 In fact, it reminds me in many ways of the Battle Ram, and I wouldn’t be surprised if the Battle Ram were a major source of inspiration. So many great things on this post. 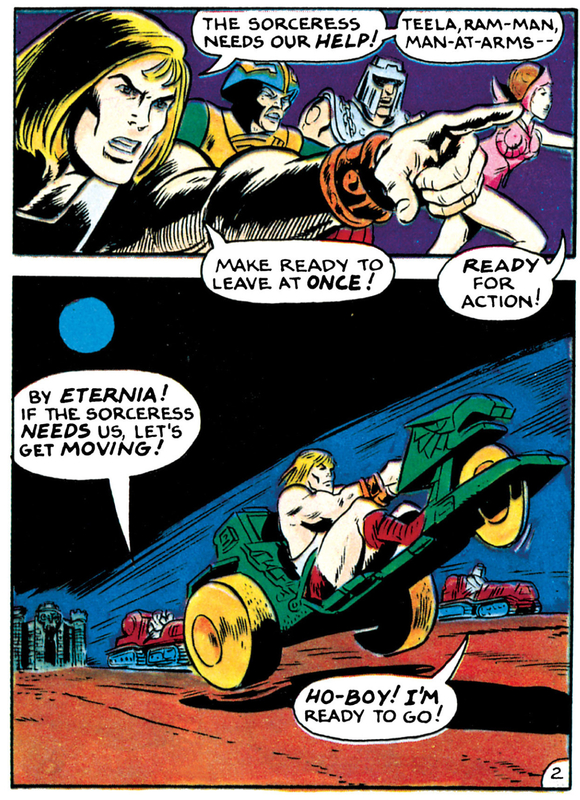 Love the behind-the-scenes. 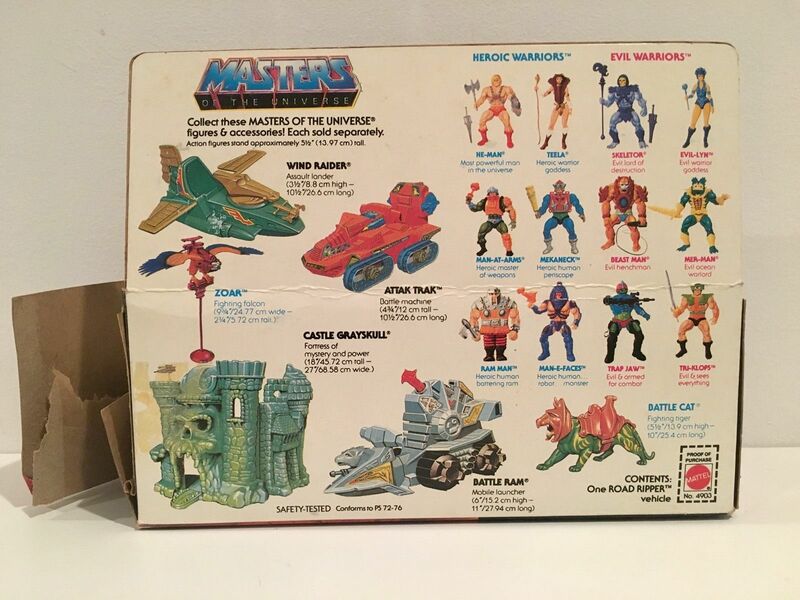 Love the box art. 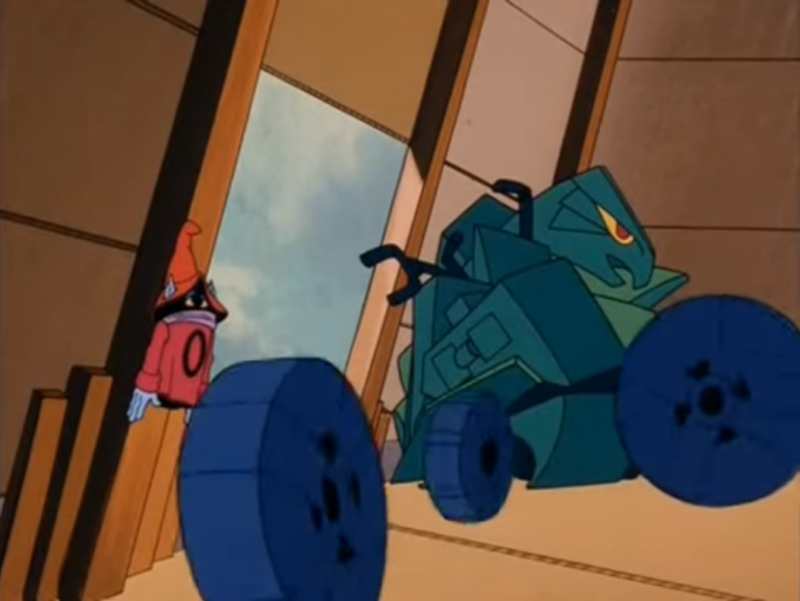 Love the blue variation (reminds me of the GoBots’ Zod) and I was very glad to discover that tricycle. Not sure if I’d eve seen that before! Thanks! 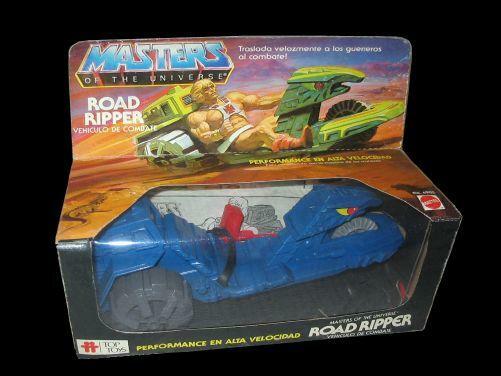 The Road Ripper was one of the vehicles I got from a garage sale when I was little. 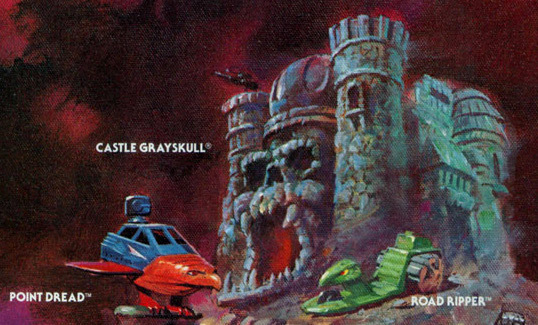 (Garage sales were the source of most of my vehicles and playsets!) 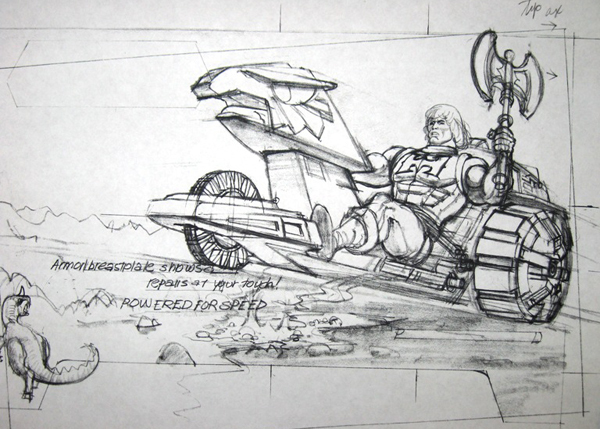 I always associated it Mekaneck, for whatever reason, and kept him seated in it when the heroes were rolling out. 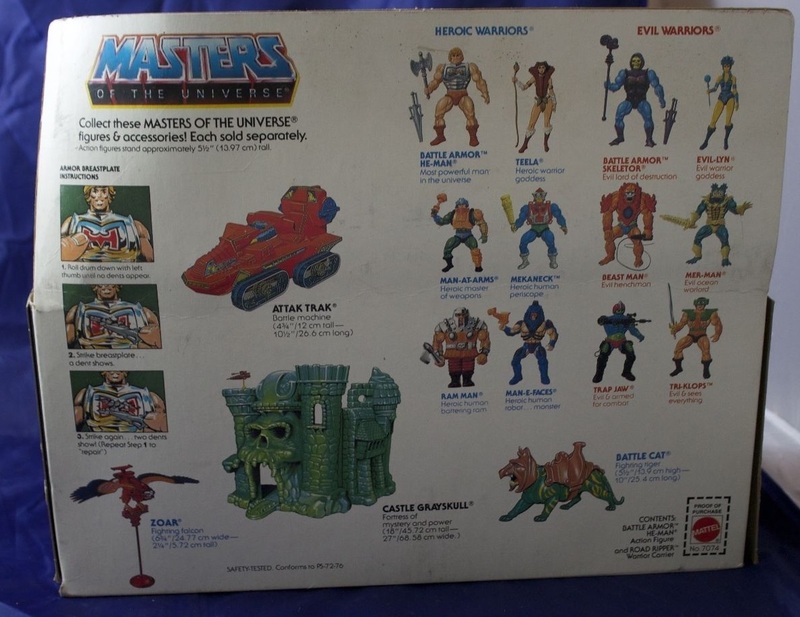 I considered it his in the same way Battle Cat was paired with He-Man, and Stridor belonged to Fisto. 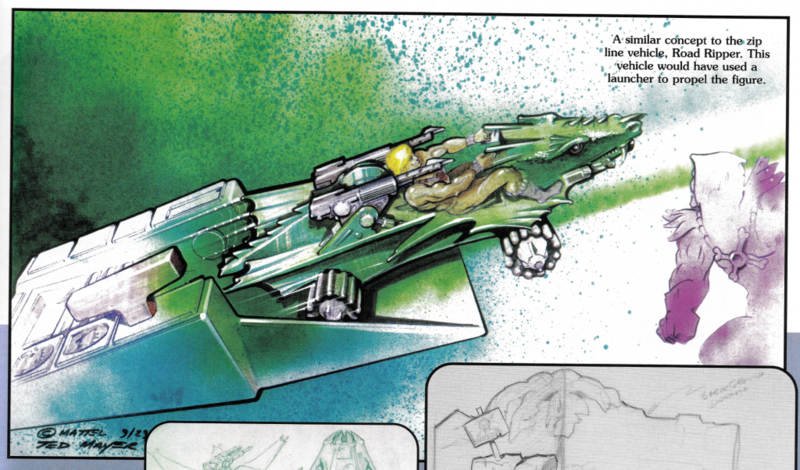 Perhaps I saw that cross sell art with Mekaneck seated in it somewhere and was influenced by that. I always see these cheap and the stickers always seem perfect. 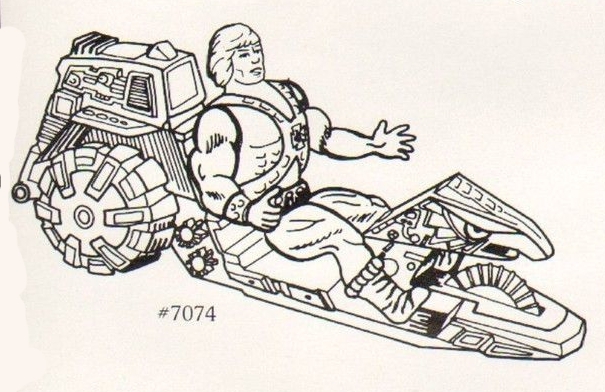 I’ve noticed over the years of collecting that He-Man stickers seem to hold up better than most other lines I am into. 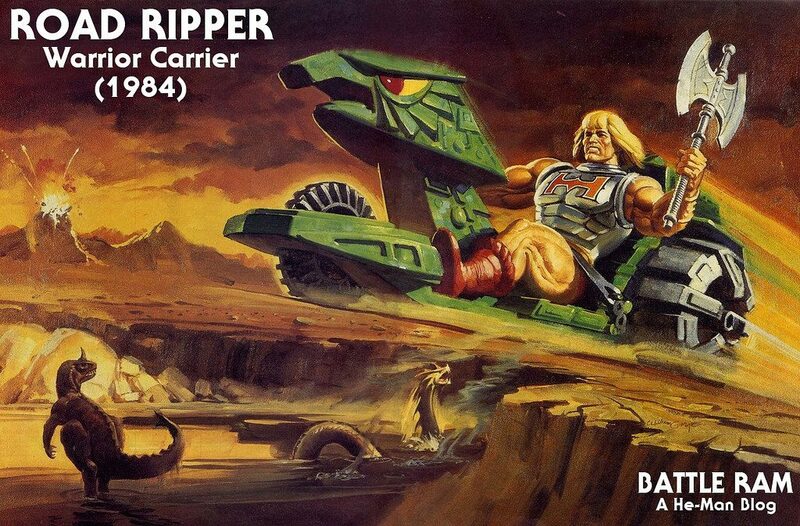 I need a new ripcord but I’m glad it’s something that otherwise survived perfectly from my younger days. Now that I’ve read this I want a blue one! 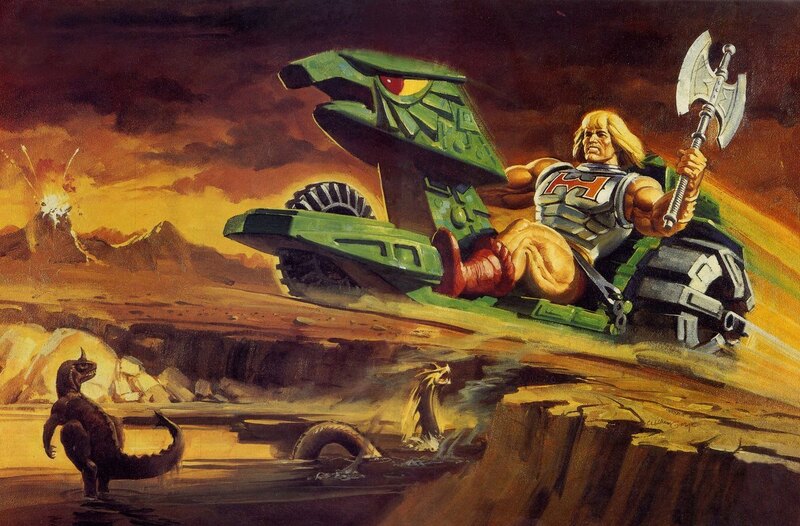 Maybe Faker can race He-Man in it!